The Lakes of Coppell is located in the northeast corner of Coppell, TX. It is the largest Homeowner’s Association (HOA) in Coppell. 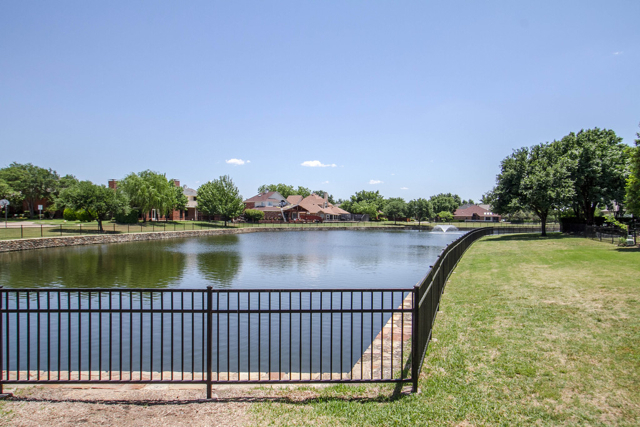 The Lakes of Coppell gets its name from the man-made lakes or canals that snake their way around neighborhoods north of Sandy Lake Road, and on either side of MacArthur Boulevard. It is also known for its beautiful views and mature trees. Many homes within the Lakes of Coppell are also along Denton Creek, running roughly from Deforest Road south to near Sandy Lake Road along the eastern-most edge of Coppell. Unlike many “creeks” in Texas, Denton Creek always has some water flowing, as the outflow from Grapevine Lake. The east side of the creek is part of the flood plain, and as such has remained undeveloped, and full of trees and wildlife. The individual subdivisions within the Lakes of Coppell HOA include: Channel Pointe, Gibbs Station, Lakewood Estates, Raintree Village, Villages of Coppell, Waters Edge, Waterside Estates.